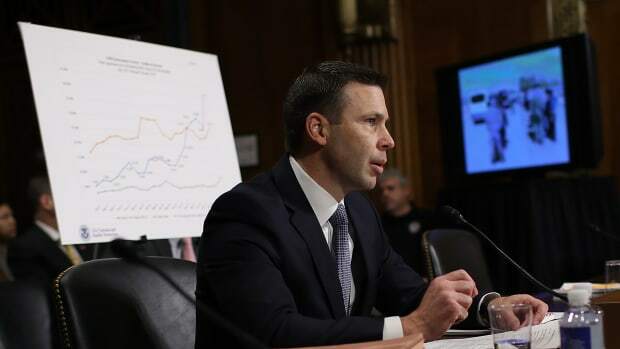 In El Paso on Wednesday, Kevin McAleenan, the commissioner of Customs and Border Protection, stood in front of the steel bollards that line the border between the United States and Mexico and warned that the border had hit a "breaking point." As McAleenan addressed reporters at the border, elsewhere in the city, hundreds of asylum-seeking families were being held in a razor wire-surrounded enclosure under a bridge. 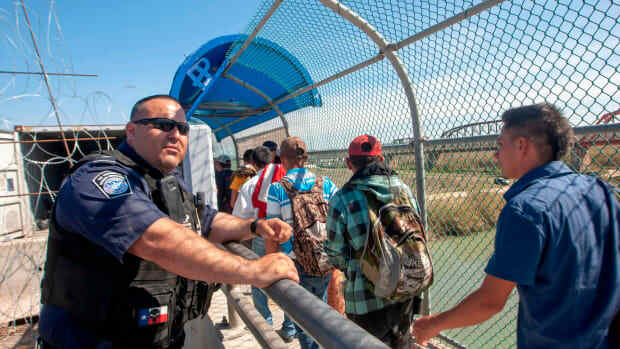 Photos showed children and families standing behind chain link and military-style concertina wire, under the Paso Del Norte International Bridge in El Paso. 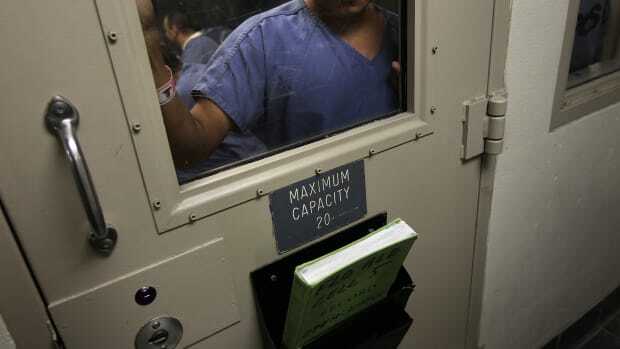 CBP said that, with government detention facilities overwhelmed, it had nowhere else to hold the families but in the dirt under the pedestrian walkway. On Thursday, families were still being held in the enclosure. Pedestrians walking over the bridge peered over the edge in amazement, where babies could be heard crying down below. 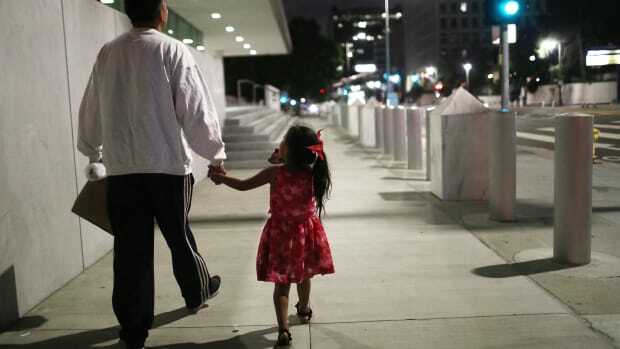 Why is CBP keeping families under a bridge? Part of the reason is that the country&apos;s border enforcement regime is built to deter illegal immigrants, not deal with large numbers of asylum-seeking families. Though migration across the southern border remains well below historic peaks, the kind of people crossing the border has changed. Throughout the 2000s, the overwhelming majority of border crossers were single Mexican men, crossing the border to find work. However, as the peso recovered and the U.S. went through a recession, the number of Mexican "economic migrants" plummeted from a peak of 1.6 million in 2000 to less than 300,000 in recent years. 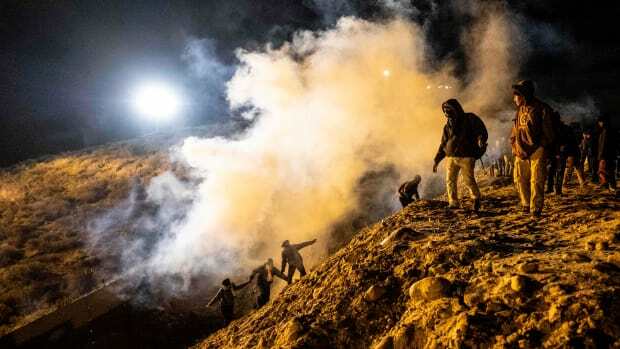 But in that same time period, a massive wave of violence in Central America has sent huge numbers of people fleeing north to the U.S. to ask for asylum. Because many of these Central Americans are fleeing violence, not just looking for economic opportunity, they&apos;ve been more likely to travel as families instead of as single adults—since last fall, the majority of people apprehended at the border have been traveling as families. Built to deal with undocumented immigrants traveling as single men, the U.S.&apos;s border enforcement apparatus has been unable to handle the flow of asylum seekers traveling as families. The government does not have enough facilities dedicated to detaining families, and many CBP officers are not trained or prepared to care for children. 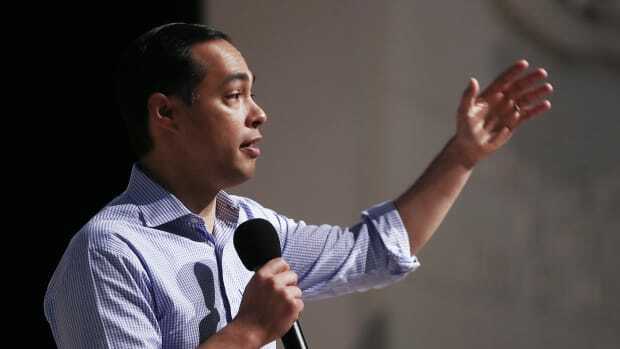 In places like El Paso, shelters (in churches and non-governmental organization facilities) are full, and the government has been releasing asylum-seeking families at bus stops. 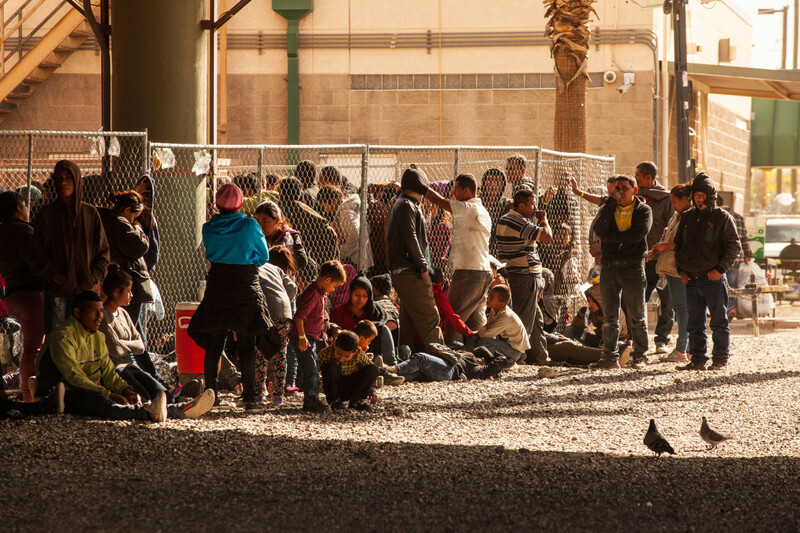 Migrants and asylum seekers awaiting processing are held in temporary fencing underneath the Paso Del Norte Bridge on March 28th, in El Paso, Texas. U.S. Customs and Border Protection has temporarily closed all highway checkpoints along the 268-mile stretch of border in the El Paso sector. 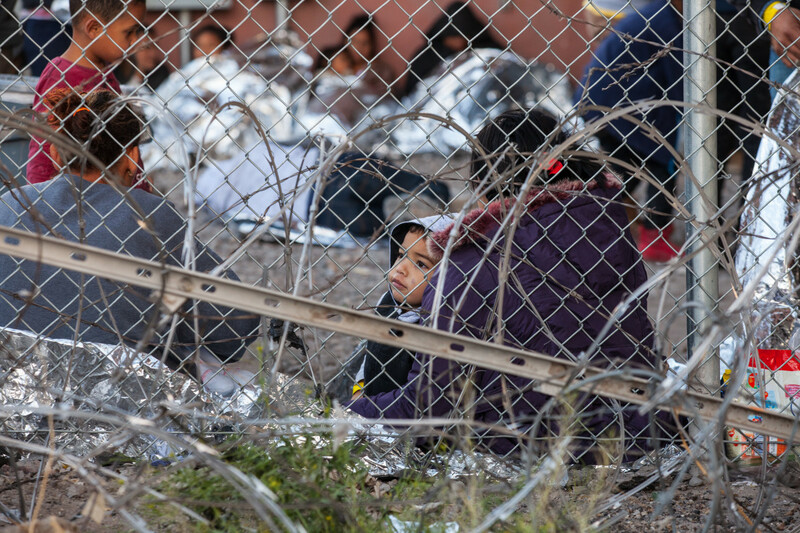 A child sits behind military-style concertina wire and chain link fencing as CBP holds him and his family with hundreds of other in the enclosure on March 28th. 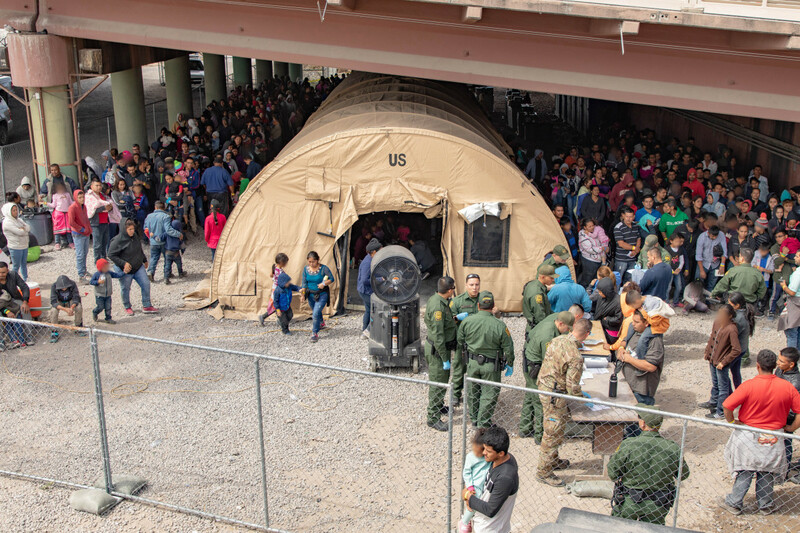 U.S. Border Patrol agents provide food, water, and medical screenings to scores of migrants and asylum seekers held underneath the international pedestrian bridge between the United States and Mexico on March 22nd in El Paso, Texas. 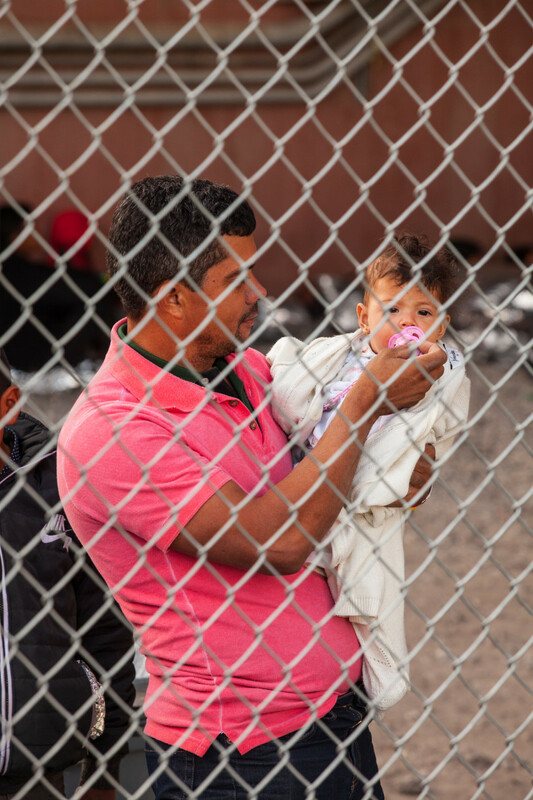 A man holds a child as both wait along with hundreds of other people in the temporary enclosure on March 28th. Children and families huddle against the cold wind. 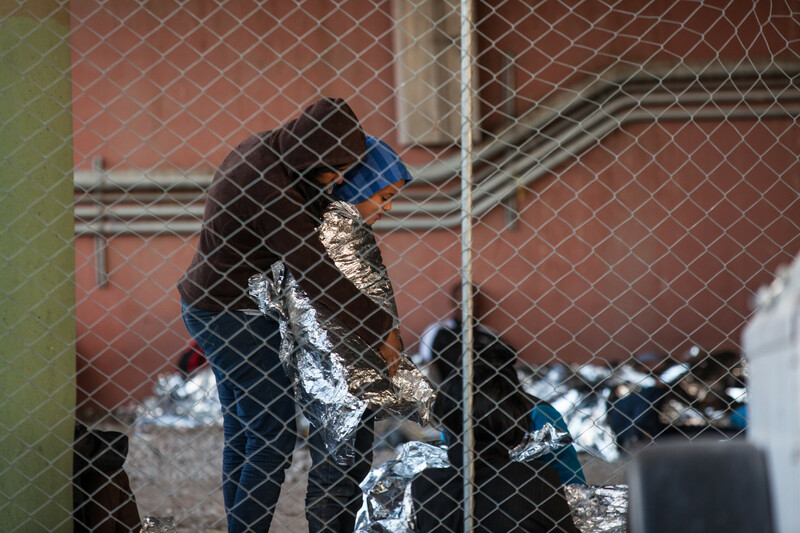 CBP provided mylar blankets. What Is &apos;Catch and Release&apos;?